Stories from a Bottle | Bjorn Surrao | OK Listen! 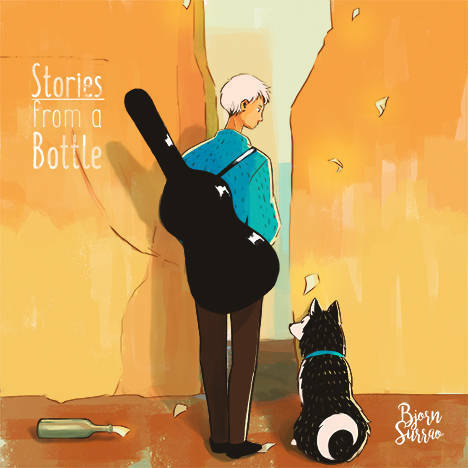 Stories from a bottle is a trilingual independent album written , composed , recorded and produced by Bjorn Surrao . The easy listening album and moves between genre’s to tell tales behind the life of the songwriter and his journey , narrated by a bottle . Suchith Suresan is a performer from the gods on country. He is a trained vocalist in carnatic & hindustani music under the guidance of Sri. Aryanadu Raju & Sri. Ramesh Narayan respectively. He is already a part of Tamil, Telugu, Malayalam and Kannada film industries as a leading playback singer. Also he is the leading Playback Singer the Indian Rock band Udaan & Suchith Suresan Live. Suchith has worked & performed with Rex Vijayan, Harris Jayaraj, Vijay Antony, S.S. Thaman, Devi Sri Prasad, Deepak Dev, Rahul Raj & Gopi Sunder. Shakthisree Gopalan is an Indian vocalist, songwriter and performer, famous for her collaborations with the top south-Indian music directors/composers like A.R.Rahman, Harris Jayaraj , Anirudh Ravichander etc. Aside from the film music She has been making a substantial impact in the independent music scene, performing with various bands over the years dabbling in Pop, R'n'B, trip-hop and jazz.